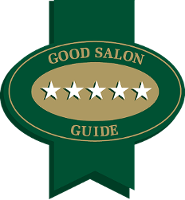 If you would like to book an appointment or you would just like some advice about your hair, then please feel free to get in touch! You can either call, email or connect with us via social media - we look forward to hearing from you! What was once the popular Mr. Derricks, opposite Boots and Clinton Cards, we are located on King Street, South Shields. Website designed and developed by Peter Marsh Hairdressing Ltd, 2014.